As part of the glorious celebration of Jesus’ Resurrection, the Easter Bunny is coming on April 21! 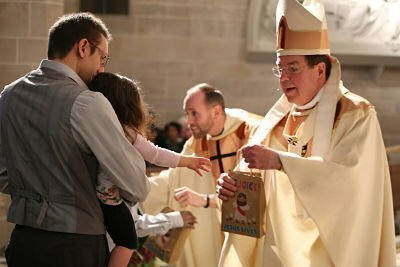 St. Moses the Black and The Cathedral of the Most Blessed Sacrament will be handing out Easter Bags to all the children at their Easter Masses. Please help by donating wrapped candy to the cluster office (at the Cathedral) or by dropping it off to any staff member after Mass now through Palm Sunday. Monetary donations (checks are best) are also helpful!